In today’s Digital Age, students and professors have instant access to the world’s knowledge at their fingertips. With the advent of the World Wide Web a mere 20 years ago, a network that once was reserved for researchers and the military became available to everyone. The digital network rapidly has developed into the world’s classroom, playground, and think tank. Digital content readily can be created and shared, allowing interaction and collaboration with experts and peers around the world. 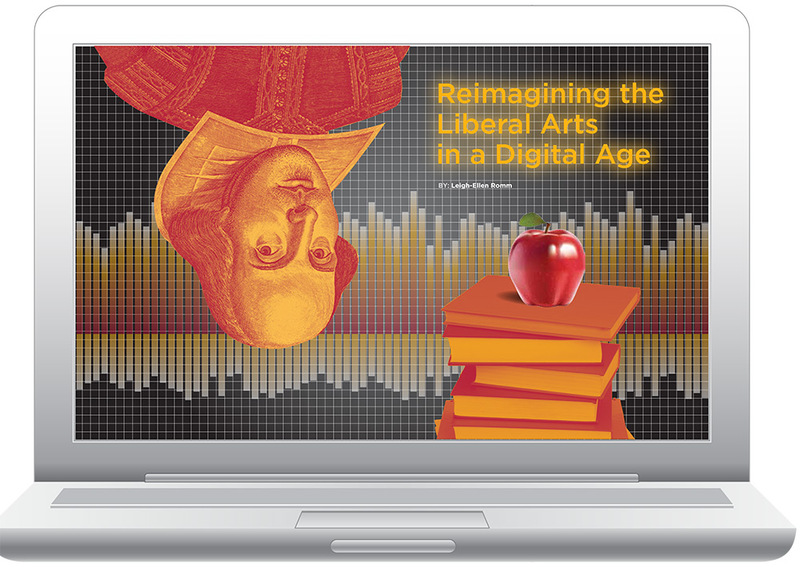 One year into the Mellon grant period, the digital pedagogy initiative is yielding positive results for the first round of grant recipients. Fifteen faculty grantees—representing the humanities, the sciences, and the social sciences—proposed projects to enhance their courses. 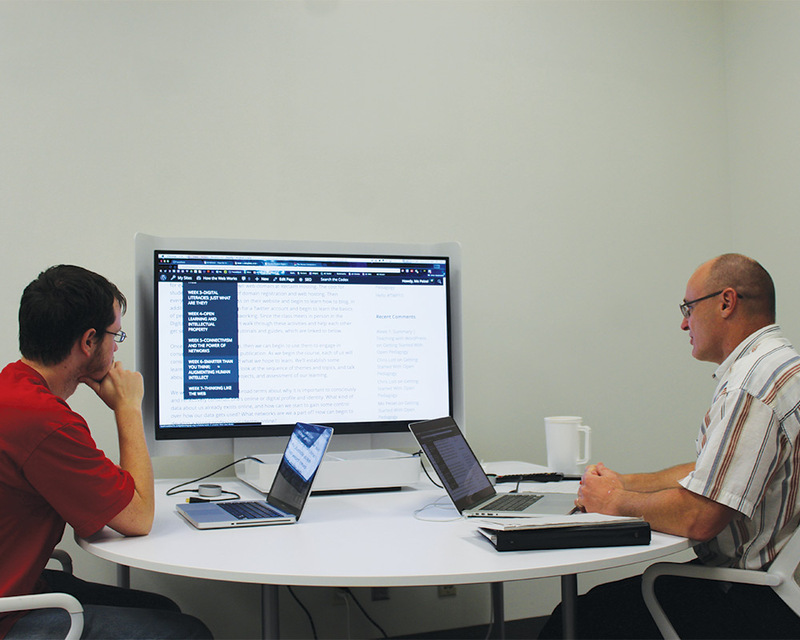 The grant provides funding for hardware, software, training, and faculty stipends. A key component of the College’s Mellon grant was the hiring of a full-time digital pedagogy designer. 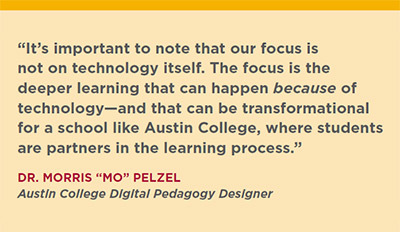 In this role, Dr. Morris “Mo” Pelzel consults with faculty members, advises them about digital tools and applications, and helps them implement new teaching strategies and practices. 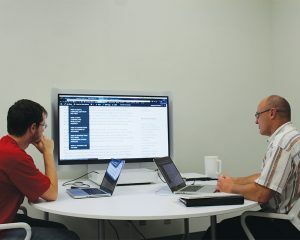 A professor of religious studies for many years, he increasingly used digital technologies in his own teaching, and subsequently earned a master’s degree in instructional technology in 2013. Thus, he is well-suited for the new position at Austin College, in which he serves the entire faculty while also teaching on a part-time basis. Brett Boessen, associate professor of media studies at Austin College, has encouraged digital pedagogy projects for several years. As one example, he has helped many students returning from study-abroad experiences to share their journeys through digital stories. “It’s important to note that our focus is not on technology itself,” Pelzel said. “The focus is the deeper learning that can happen because of technology—and that can be transformational for a school like Austin College, where students are partners in the learning process.” Classes now can include digital content that once would have been available only by traveling to museums and libraries around the world. Students become producers of knowledge as they publish blogs, essays, videos, and other forms of digital media. 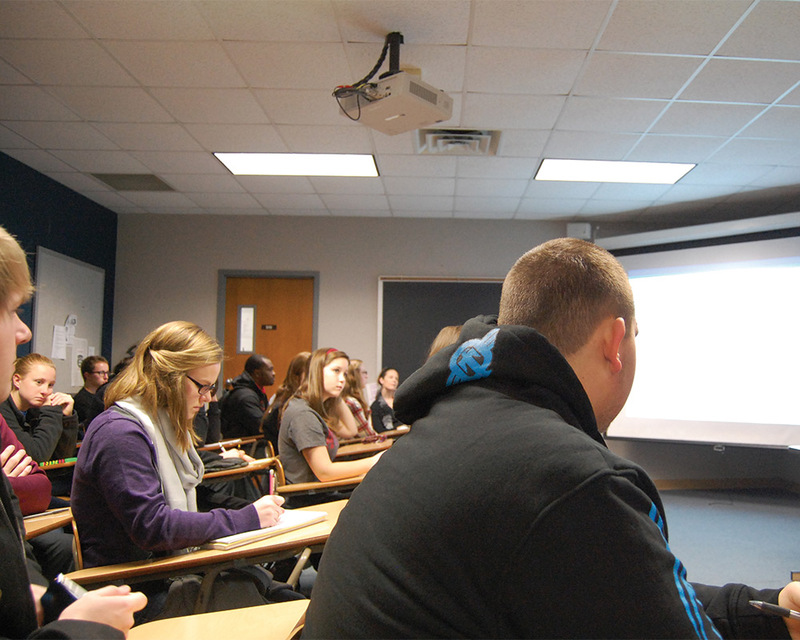 One example of the extended availability of faculty is the “flipped classroom.” In this model, lectures are recorded and available online for students to view and review before and after class as needed. Then, during class time, students come together for discussion, questions, and hands-on activities that supplement the lectures. Students spend more time in active learning with the professor and their peers in the classroom. 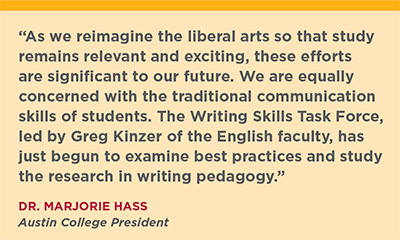 The fundamentals of a liberal arts education provide Austin College students the tools for lifelong learning, wherever they go and whatever circumstances arise. Students equipped with the abilities to make connections across disciplines, problem solve creatively, think critically, communicate well, and navigate technology are prepared for rapidly changing career options in the future. “We want to prepare students to live, work, and learn in a completely networked world,” Pelzel said. A generation that learned keyboarding in kindergarten, today’s Austin College students arrive on campus familiar with digital media creation and social networking. “What the faculty provides them is an informed and critical perspective on how to produce digital media well,” Boessen said. Boessen’s “New Media and Cultural Change” course asks students to consider the impact of some of the major cultural shifts that have occurred in the West around new media: print, motion pictures, broadcasting, and now digital-networked media. He said it will serve as a valuable complement to Pelzel’s new summer course, “How the Web Works: Building Your Digital Identity, Literacy, and Network,” which teaches his students to build and manage their own space on the web. 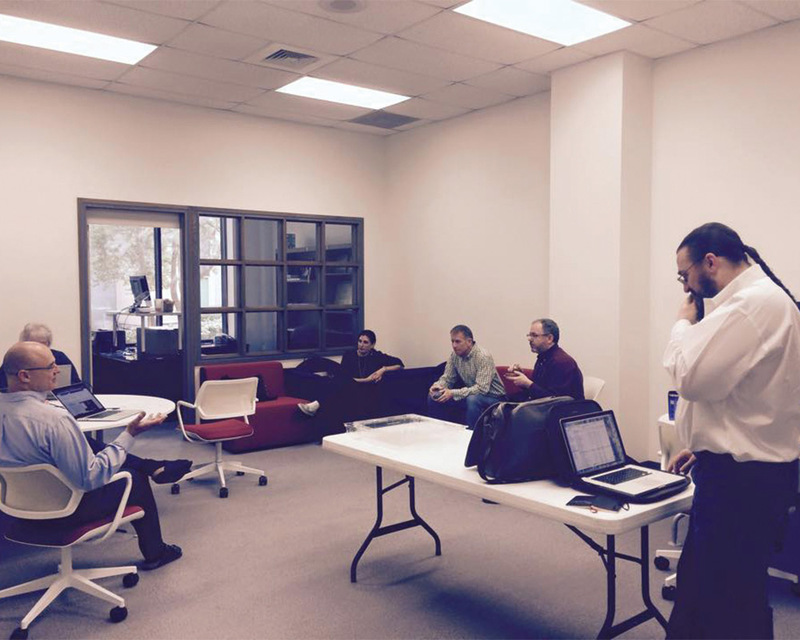 They learn to develop technical and cultural fluency for online knowledge creation. Those courses support the College’s Strategic Plan goal that, by 2020, every graduating student is prepared to create a strong professional online presence. Programs that enhance writing, communication, and digital skills will help them develop an e-portfolio that demonstrates their accomplishments and scholarship. The Mellon grantees and other faculty members regularly discuss their projects and exchange ideas. 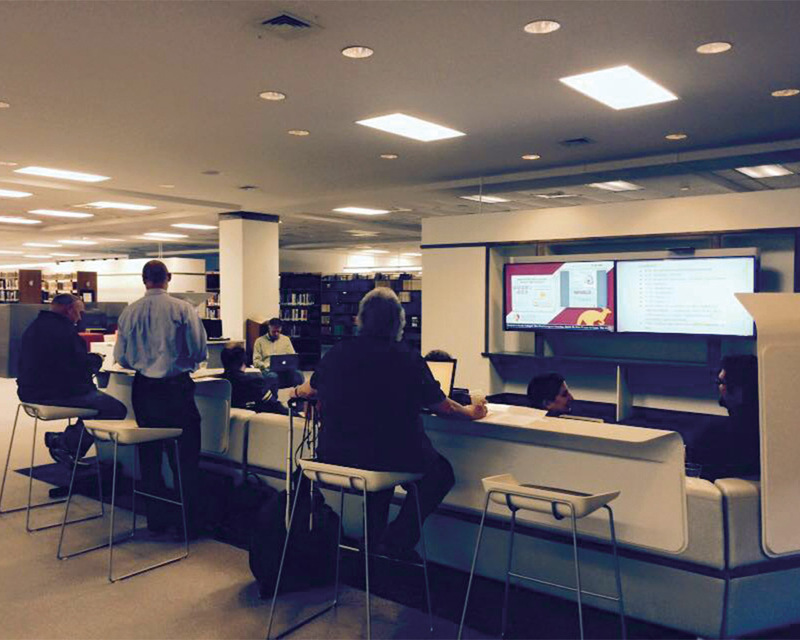 For example, in March, faculty participated in the first Austin College Mellon Grant Workshop in the newly renovated Digital Commons of Abell Library, which provides spaces and technology that support collaborative learning. Several faculty presented short demonstrations of their projects, followed by general discussion. Faculty then selected three breakout sessions, facilitated by Pelzel and Boessen, covering topics that included video/text annotation; flipped classrooms; student-produced video; open digital spaces such as blogs and webpages; closed digital spaces such as wikis; and databases and encyclopedias. In addition to these in-person opportunities to share ideas, all faculty members can engage on the digital pedagogy website, which includes information about the grantee projects, resources for digital pedagogy, and a regularly updated blog. The conversation continues on a Facebook group, Digital Pedagogy@Austin College, and on Twitter, @ACdigped. The 2014-2015 faculty grantees have completed only the first year of their grant commitment. 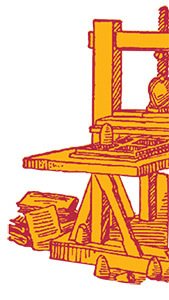 Each grantee will teach the Mellon-enhanced course at least three times over a seven-year period. (Some courses are taught only every other year.) Likely, modifications and adjustments will be part of each iteration. Eight faculty have received grants for the 2015-2016 academic year and look to bring additional innovations to campus. By the project’s conclusion, a considerable percentage of the faculty will have been directly involved in digital pedagogy programs, and the plan is that the entire faculty will have been influenced through them. All faculty of the College can benefit from accessing the resources of the digital pedagogy team of Pelzel, Boessen, and Duffey. The next sections offer details about four Mellon-enhanced courses. The Austin College student learning Chinese is generally on a mission. They have to want to learn Chinese. Many plan to pursue careers in government, science, or business and need the language proficiency. Others are of Chinese heritage—some adopted from China, others whose parents and extended family may speak and write Chinese, but the student has little or no knowledge—who want to gain understanding of the language and culture. Students of Chinese language all have a plan, and surely no one would think it could be an easy “A” on a transcript. For starters, there are tens of thousands of Chinese characters. The first of two typical routes to learning Chinese is writing characters over and over but learning only a limited vocabulary. The practice of orthography by hand is slow and meticulous. The second route is to focus on learning to pronounce the words, using a Romanization system called pinyin, and to recognize characters and later, master writing. 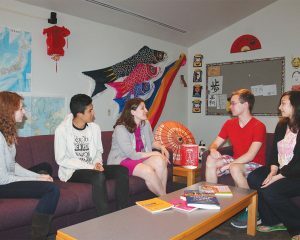 When Dr. Jennifer Johnson-Cooper, now assistant professor of Chinese at Austin College, was an international relations major at Smith College, she included Chinese in her degree plan to have an advantage in the world market. While learning through traditional methods and seeing success, she changed her plans and her major. She fully immersed in Chinese language and culture while studying in Beijing and later on a Fulbright experience. Immersion takes away the safety net and requires any language student to embrace or be left behind. At home, Johnson-Cooper’s own young son is busy learning language for the first time. She observes his great joy as he soaks up words and communicates ideas. She wants to see that same joy as her Chinese students advance in their learning. She hopes to create delight, play even, through the introduction of digital tools that will support success and its accompanying satisfaction as students master new levels of the very difficult language. Languages are learned through speaking, hearing, writing, and reading. The textbook Chinese for Tomorrow has added a fifth element: typing, and uses computer input to allow beginning students to acquire vocabulary earlier in the process. In Johnson-Cooper’s class, students learn a Chinese word by pronouncing it phonetically, such as ni-hao for hello. Then, they type a Romanized spelling of the pronunciation. Software translates the Romanization to Chinese character options, and the students choose the correct one. Johnson-Cooper quizzes by this process daily through Moodle, a course management system. If students’ choices are incorrect, they immediately know it is time for review. Johnson-Cooper also uses a flipped classroom model in which students listen to some of her recorded lectures outside the classroom and then convene during scheduled class time for practice and questions. Through her video lectures and with input from advanced Chinese-language students, Johnson-Cooper is creating a hybrid online curriculum and textbook for Chinese language instruction. When Daniel Dominick, associate professor of music, teaches Music History II, he makes the assignment: “Listen to 1.5 hours of music per week relating to what is presented in class. Make annotations.” The results a few semesters ago: A stack of notebooks with lists of music and vague references to moments in each piece: “About 2 minutes in …” or “After the refrain …” That was really the best that could be done with paper and pen. With all new things, however, a learning curve exists. That 1.5 hours of music per week multiplied by several students adds up to hours and hours of music for Dominick to review as he assesses student notations. He is confident, however, that this will work out as he and students learn to better organize the music within Salon. And, the new system has other benefits. “Classroom Salon also allows you to get precise feedback from the professor,” Guthrie said. Now, with so much supporting multi-media material available, he said professors can make the experience even richer by providing images, related clips, recordings, and expanded material. Through the Mellon grant, Dominick added a higher quality projection system and screen to his classroom to make this possible on a larger scale. No longer must students imagine the interior of an important opera house; they practically “go there” from the classroom. They can see the faces of composers, scan the pages of original scores—and soak up all that music has to offer. Dr. Ian MacFarlane loves teaching General Psychology. The assistant professor tells his students the class is somewhat like ordering the hors d’oeuvres menu at a restaurant: they will get a taste of many things but likely won’t get “full.” He is able to introduce studies with counter-intuitive results that start his students thinking about the complexity of human behavior. 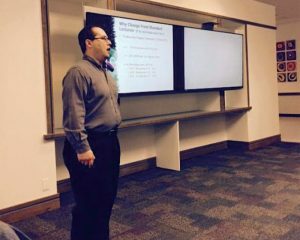 He thinks the quick pace of the broad course makes it one of the most challenging in the department, so he sought a way for students to interact with material outside the classroom, which helps them remember better and reflect more clearly on a personal level. In an early attempt to generate interaction, MacFarlane set up an online discussion board where students watched an assigned video or read a passage, then posted responses, commenting back and forth. The end-of-class survey comments indicated the exercise was not very popular. It was a valiant start, but MacFarlane wanted to provide additional relevance for students. work for the class. “We get to generally react and also present ideas to society here at Austin College,” she said. Although MacFarlane reads entries for basic grammar, he is more interested in creativity and accountability. Students seem to like it; on Ferrill’s blog site, “I’mafreudnot,” she does not stress about outlines and format, but enjoys having her space on the web. For privacy and security, MacFarlane serves as an administrator on each student’s blog. He receives email alerts when posts are updated and monitors content. “Students today are generally savvy,” he said. He directs them to YouTube videos for further explanation of the blogging process. Students have the option to open the blog just to their classmates and MacFarlane, or to make it public. 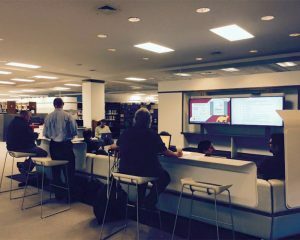 Digital pedagogy advances right along with psychology classes; MacFarlane uses video in his 300-level “Foundations of Clinical Practice.” Classroom Salon, a learning platform that allows comments within a text, excerpt, or video, helps students collaborate while learning. Simulated clinical sessions are recorded for review by the professor and peers. Comments are annotated at exact points in the video and not in retrospect or as part of a general conversation. Criticism and praise are more specific and undeniable as students learn and improve. While on sabbatical in spring 2014, Dr. Andrew Carr, Austin College associate professor of chemistry, attended the American Chemistry Society meeting and set a new pedagogical goal for himself. He saw that the flipped-classroom model could be especially beneficial to his students in “Organic Chemistry,” notorious for its high-challenge level (and often, high withdrawal rate). “Honestly, if not for sabbatical, I would not have had time to let this soak in and consider how to do it,” Carr said. The Mellon grant funded a camcorder, tripod and related tools, wireless microphone, and a robust external hard drive for the project. Carr himself is armed with inside-and-out knowledge of his subject, so he recorded lectures in his office with relative ease. He learned to edit and compress the videos to post to Moodle, an Austin College course management tool. Students come to class prepared for a brief quiz over the material for the sake of accountability. Then, they experience the greatest benefit of the flipped classroom: in-class dialogue with Carr and other students about the material and guided practice in working on related chemistry problems. “The group dynamic was very question-oriented,” Swisher said. “Students would ask questions about what they did not understand from the previous online lectures, and that allowed for clarification. If no one had questions, Dr. Carr would put practice questions on the board for extra review.” From the beginning, all students had the opportunity to practice their calculations correctly and reinforce their learning. As Carr continues to use this model, he expects to recoup significant time, as most lectures will not need to be re-recorded. This will further free up his time to investigate additional digital tools to enhance students’ learning experience. 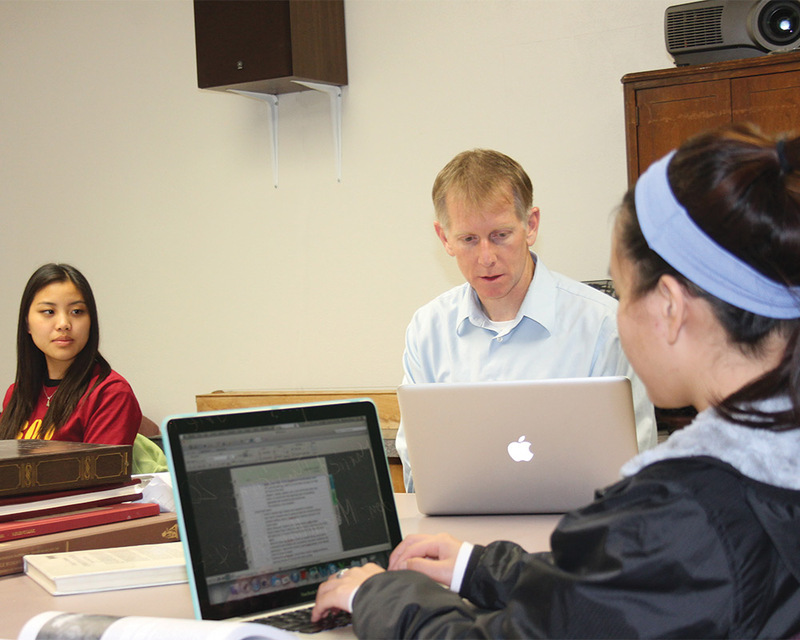 As Fall Term 2014 progressed, students from other sections began asking for access to Carr’s lectures. With support from his colleagues, he made the lectures available to all Austin College students wanting to deepen their understanding of the subject. He continues to tape new lectures for subsequent courses of chemistry and expects to make the flipped classroom the norm for his students.